Bendable Mobile phones, quick-charge batteries and unbreakable touchscreens – technology firms are racing to harness the potential of Graphene, a wonder material which scientists say could transform consumer electronics. “There are other materials which do have one of those properties each,” physicist Kostya Novoselov – who first isolated graphene in 2004 – said at last week's Mobile World Congress, the sector’s biggest trade fair, in Barcelona. Samsung, the world’s number one smartphone maker, has taken out the most graphene patents – over 490 – followed by China’s Ocean’s King Lighting and IBM. While its real-world uses so far remain modest, research into possible applications for the material picked up steam in Europe after the European Union set aside €1bil (RM4.63bil) in 2013 to be spent over ten years to investigate. 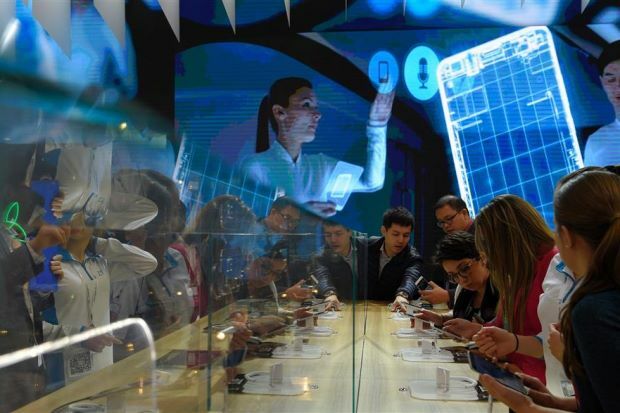 The trade fair in Barcelona for the first time had a pavilion dedicated to graphene research centres and startups, a sign of the growing importance of the material to the mobile industry.